Looking for great atmosphere and homey surroundings? Try Visit Beyonds New Road Guest House, your comfort zone, where you as our guest are invited to use all our free services and comfy beds. But we are much more than a place to sleep. Meet other travelers in our chill-out-areas, have tasty thai food in our restaurant and roam our free Wi-Fi. 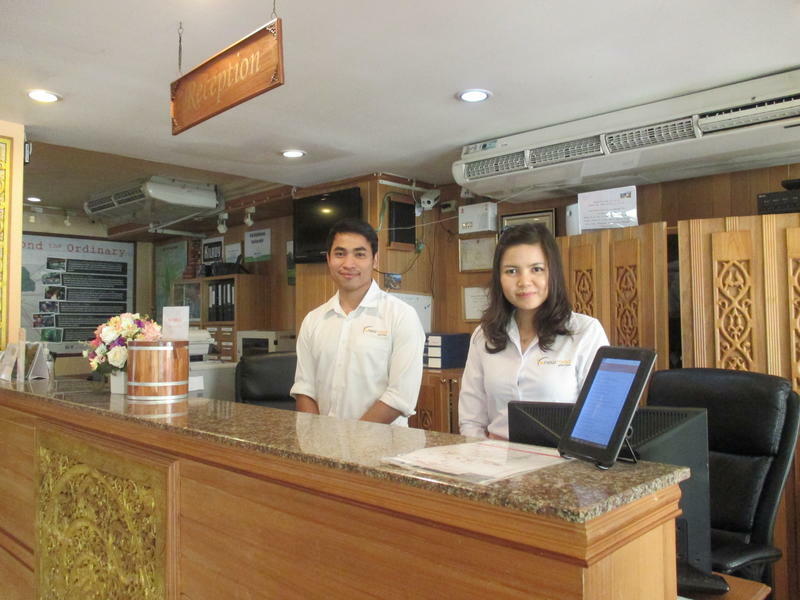 So if you are off to Bangkok, New Road Guest House might be your home away from home. The lobby, cafe and chill-out area and most rooms at New Road Guest House recently went through a comprehensive renovation leaving the guesthouse new and fresh. 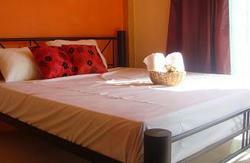 Despite the new interior the guesthouse have kept competitive rates with prices and rooms for everyone. We welcome you as guest whether you look for dorm accommodation, Backpacker rooms, standard rooms, family rooms or more superior ones. Whatever your budget, you will still find your comfort zone in the middle of bustling Bangkok, and have free access to the services listed above and inspiration from our service staff. If you want a smooth landing we can provide airport pickup or pickup from any location, in Bangkok or beyond. Please contact Visit Beyond/New Road Guest House directly. If you prefer to do it yourself we are conveniently located at Charoen Krung between Soi 34 and 36 only 15 minutes walk from the BTS Skytrain station - Saphan Taksin - and 7 minutes walk from the River Boat stop Pier 1 (Oriental Hotel) at Soi 40. If you need more thorough directions or writing in Thai, please feel free to contact us after booking. Visit Beyond takes you on urban adventures and outback explorations across Asia. We are specialized in taking travelers to places less travelled, all handpicked by experts, off the beaten track. Each year, we cater for more than 10.000 travellers and we have service centers in 5 countries around Asia. Get free advice. Store your luggage. Meet other travelers. Go beyond the ordinary. By BTS Skytrain: From the Saphan Taksin stop, walk down to Charoen Krung Road and turn left. 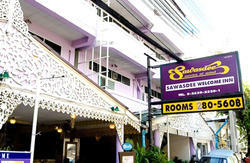 Continue until you pass soi 36 and you will see the sign for New Road Guest House on your left. By River Boat: Pier number 1 (Oriental Hotel). Walk down soi 40 until you reach Charoen Krung Road; turn left and continue to the New Road Guest House sign on your left (between Soi 36 and 34).